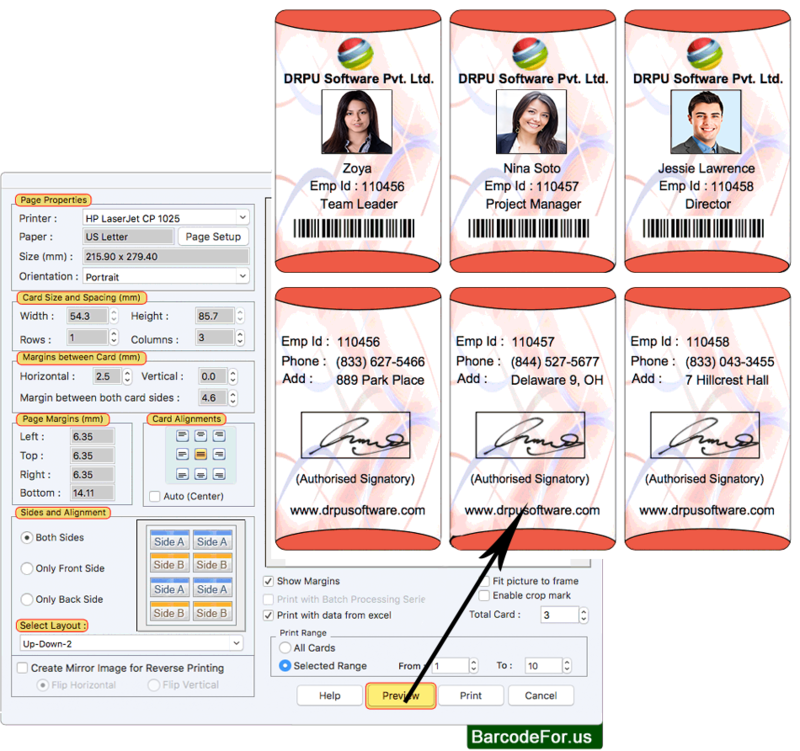 Software has five modules to generate and print ID cards. 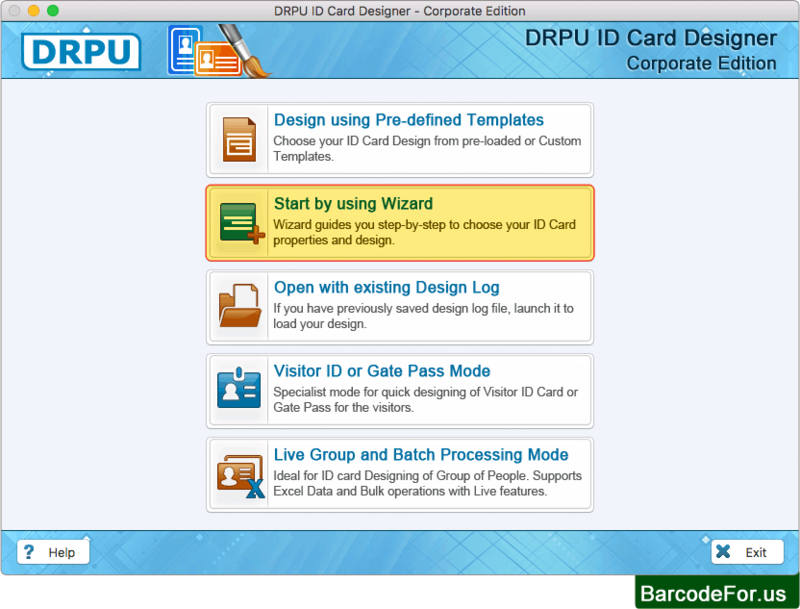 Select any one module as we have selected Start by using Wizard only for demonstration purpose. 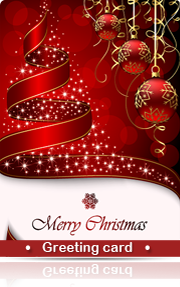 Specify card information (for example- card background, card border etc.) and click on Fill user profile button. 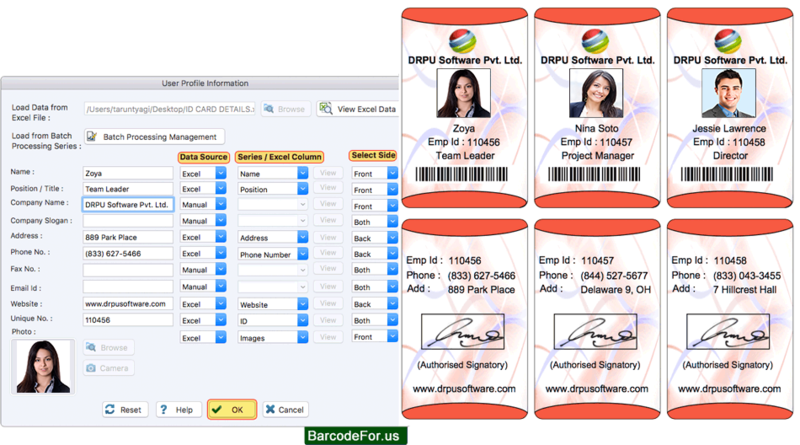 Import excel file of user details for quickly generating multiple ID cards. Select Data Source, Series/Excel Column, Card Sides and click OK button. 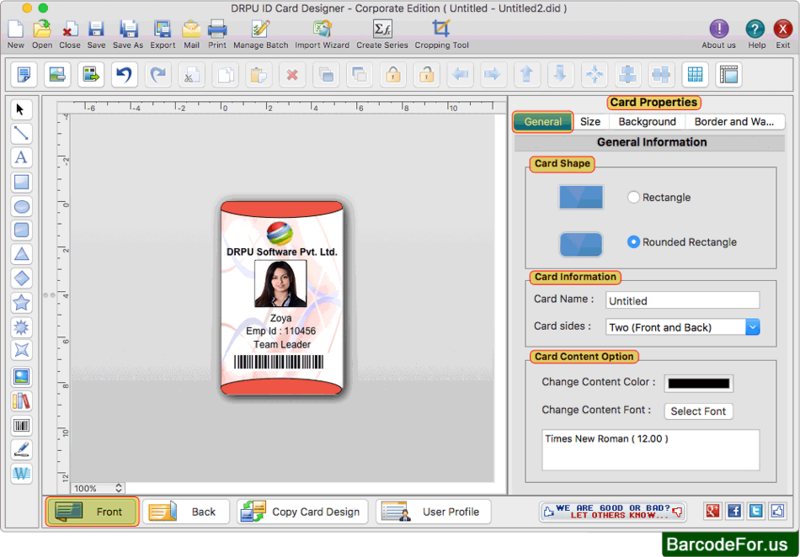 Now you can do further modification in your designed ID card using various card designing tools and card properties. 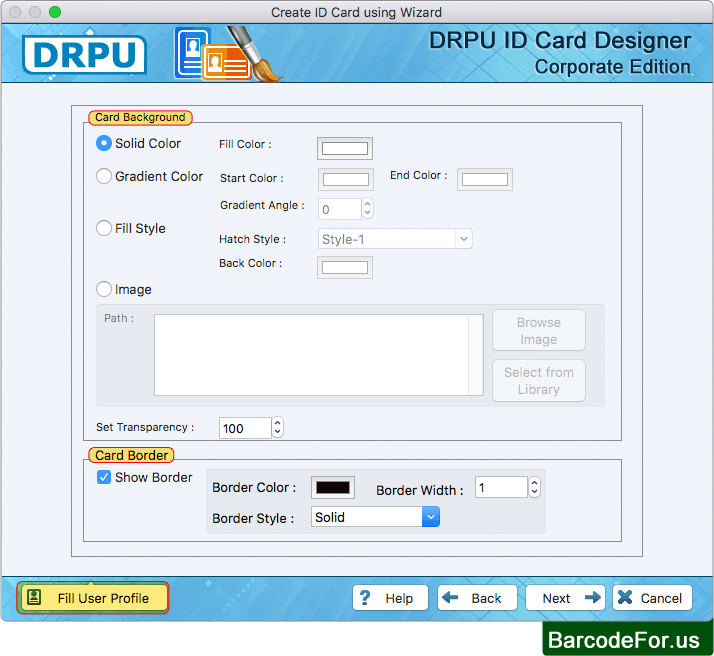 Fill various print properties and click on Print button to print designed ID cards. 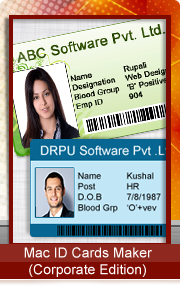 Using Preview option you can see the preview of designed ID cards.